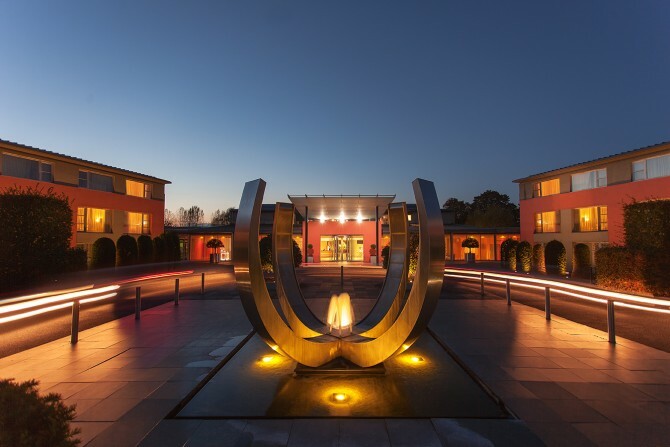 The stunning lakeside location of our hotel in the picturesque town of Marlow, set in 5 acres of beautiful countryside, makes it a spectacular venue for every type of events. Our modern facilities, with a capacity up to 450 guests, offer everything you would expect from a luxurious and contemporary hotel. Our flexible facilities and catering options will cater to your specific needs. A celebration at the AA Rosette awarded Crowne Plaza Marlow, is guaranteed to provide your guests with an excellent culinary experience. Our brigade of exceptional British as well as specialist Indian cuisine chefs will strive to meet your requirements. Our dedicated team of Event Coordinators, with a vast experience organising family celebrations, will tailor every detail to make your event the special occasion you always dreamed of. Private Dining is available for Lunch or Dinner. Our AA Rosette Glaze Restaurant will deliver your guests an extraordinary culinary experience, offering contemporary British cuisine or authentic Indian dishes, accompanied by a selection of the finest wines and an attentive staff.